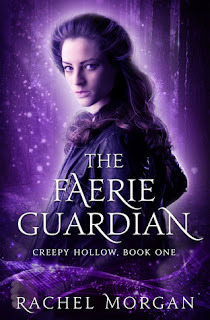 Protecting humans from dangerous magical creatures is all in a day's work for a faerie training to be a guardian. 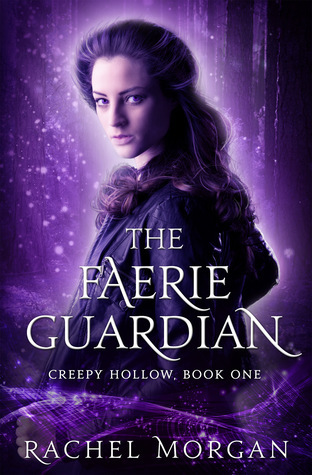 Seventeen-year-old Violet Fairdale know this better than anyone - she's about to become the best guardian the Guild has seen in years. That is, until a cute human boy who can somehow see through her faerie glamor follows her into the Face realm. Now she's broken Guild Law, a crime that could lead to her expulsion. The last thing Vi wants to do is spend anymore time with the boy who got her into this mess, but the guild requires that she return Nate to his home and make him forget everything he's discovered of the Fae realm. Easy, right? Not when you factor in evil faeries, long-lost family members, and inconvenient feelings of the romantic kind. Vi is about to find herself tangled up in a dangerous plot - and it'll take all her training to get out alive. 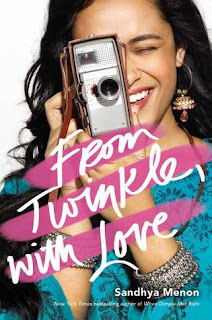 I am so excited for this book! I've seen this book on amazon for a while now and on a spur of a moment decision, I decided to contact the author to see if she was willing to send me her book to review! Turns out she is South African, which just makes me more excited to for this book. I have been in the best mood for books based on the Fae and wasn't really in the mood to start reading Throne of Glass. But I am so ready for this book! Thank you so much Rachel for sending me a paperback copy of your book! Just a small little disclaimer for those reading this review. I have received this book for free in exchange for an honest review. No money on my behalf has been spent in acquiring this book. Please note that this does not affect my opinion in any way. All thoughts are my own. The writing in this book was really good. It felt as if Violet was the one who wrote the book instead of Rachel. The writing had the write amount of sass and humor that a teenager would have. I really enjoyed it. It was a lot of fun. The writing had a nice and fast pace with enough sarcastic and entertaining dialogue. The plot was amazing and addictive. I really just wanted to know how this book ended. I was unable to put this book down and when I did, I couldn't help but think what was going to happen. The plot was well thought through and had a really good pace. Everything that happened was unexpected but was so good. Violet's talents were constant and didn't seem like she was just saying that she was the best. Violet was really spectacular. She was a well rounded character that dealt with a lot of mixing emotions that I went through. She was an accessible character and was really badass. Ryn was someone you wanted to hate because of the relationship he had with Violet but in the end, it just made him a lot more interesting. Their relationship seemed like something that old friends would have. Overall, this book was downright addictive. The writing was good and Violet's voice was clear and obvious. The plot was well planned and completely unexpected. And the characters... the characters were just incredible. They felt like old friends and they were funny and accessible. It was just an amazing experience reading this book and I cannot wait for the others! Thank you so much Rachel for sending me a copy of your book!